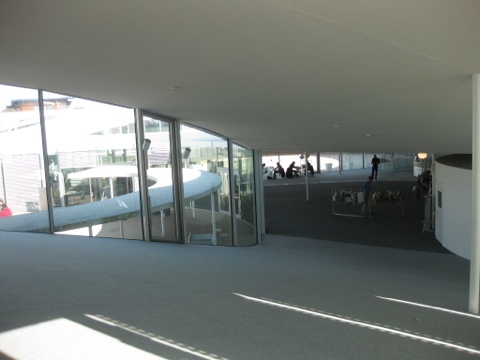 We had heard about the unique design of the Rolex Learning Centre at Lausanne University. 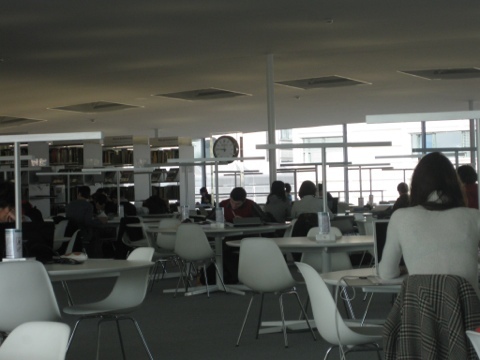 The developing trend in the tertiary sector is to facilitate a multi-disciplinary approach. 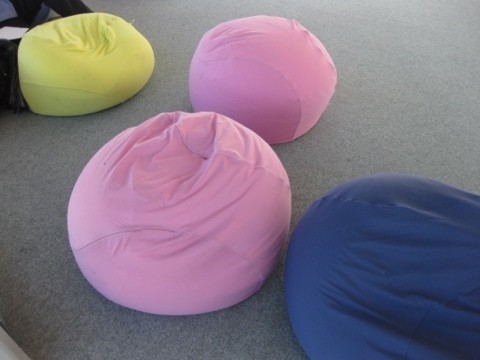 The development of a space like this, without physical barriers, helps to dismantle philosophical barriers. 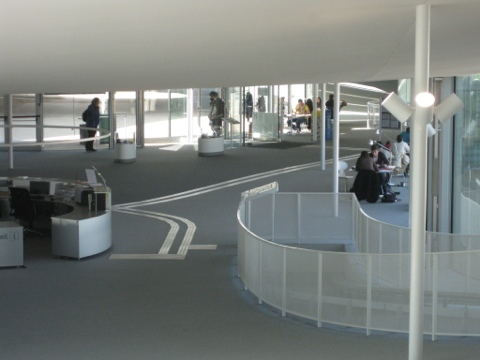 Looking at the footprint of the building, it is like a large undulating rectangle, with holes punched in it. 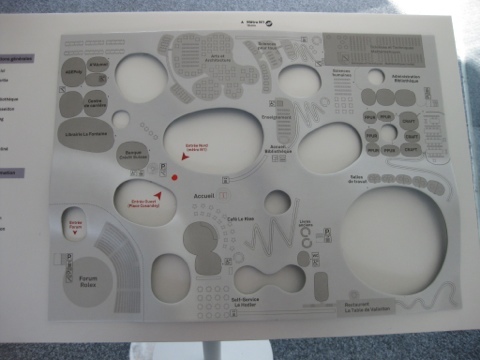 Inside it feels like a park, with hills and risers, walking in curves instead of straight lines. 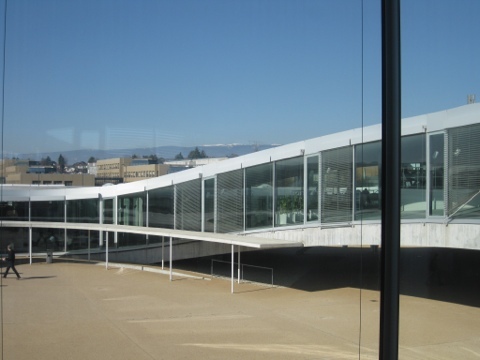 From most places you can see in several directions, with glass giving internal and external views. 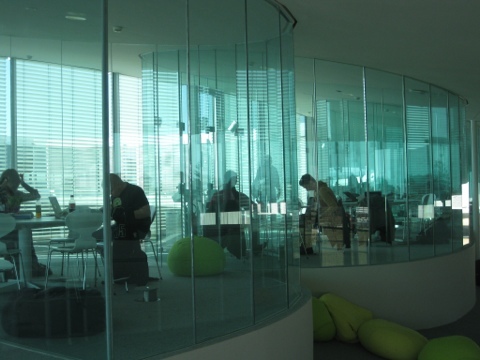 Collaborative working spaces are made of glass. Everyone is visible across the space. 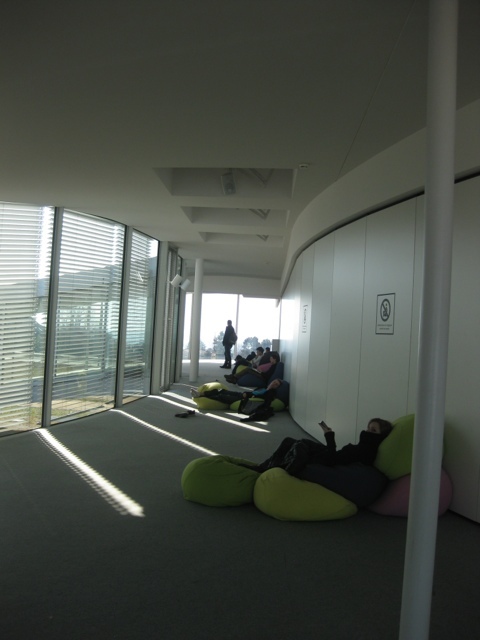 Scattered around the curves of the building are students, taking up positions on beanbags. Most working, some sleeping. 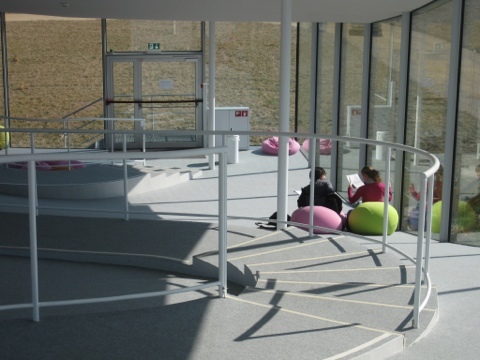 While there are designated desks for silent work, many students take advantage of find a place around the curves. 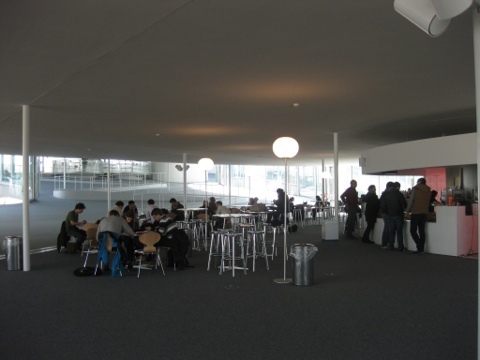 The Centre also provides meeting and social spaces for the students.